This month also symbolizes the end of an era where NASA lunched their last Shuttle – ATLANTIS to space.. 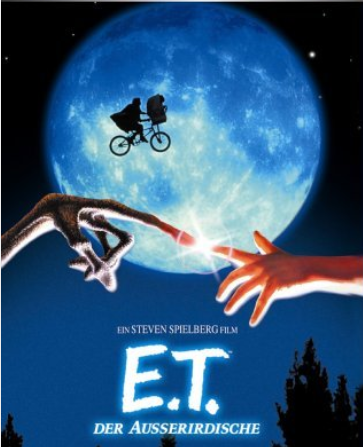 This month also symbolized the newly announced vSphere 5 and what a release it is! 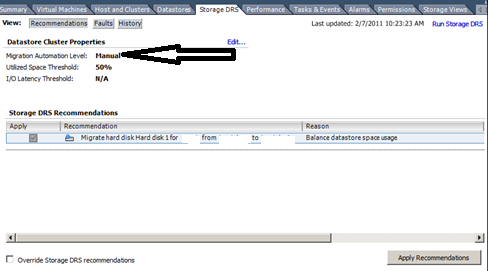 It is a VMware-defined API to obtain and display storage information through vCenter. VASA provides the VMware administrator with visibility into basic storage components (arrays, storage processors, LUNS, and file systems) and helps facilitate intelligent conversations between storage and VMware administrators, particularly when coupled with VMware-aware Unisphere. •With VASA, storage vendors can publish the capabilities of their storage to vCenter. •Through the new Storage Policy-based Service, these storage capabilities can then be displayed in vCenter to assist administrators in choosing the right storage in terms of space, performance and SLA requirements. •This information can also be used to monitor the health & usage of the storage and report to the administrator if storage policies are not being met. •This is an end to end story, i.e. storage array informs VASA storage provider of capabilities & then the storage provider informs vCenter, so now users can see storage array capabilities from vSphere client. you will also need to install EMC Solution Enabler in order to provide the VASA Provider on a VNX and the VMAX array, at a later stage, the VNX array will have a built in provider. After you successfully added the VASA Provider to vCenter, the VM Storage Profiles should display any storage capabilities provided to it by the VASA Provider. SDRS also works as an on going mechanism (think about the end of day maintenance) so it will move VM’s based on Capacity Utilization (more than 80% utilized) and I/O utilization (15 ms I/O latency), it will use sVmotion to move VM’s from one datastore to another Datastore on the same DS Cluster. So, how does it all tight together, how exactly is the circle now completed, you are probably wondering, if I have SDRS would I need to use EMC FAST VP technology? the answer to this is: ABSOLUTELY YES! the reasoning behind this is pretty simple, say you have a 2TB Oracle VM that is now running in a SDRS Cluster, and SDRS will be smart enough to know that the I/O that is needed for this VM is more than what the current datastore that this vm reside in can offer, SDRS will need to move the entire 2TB to another datastore and even that can change in the future..on the other hand EMC FAST VP technology will know to move the Specific Blocks on this VM that needs to be moved to an higher tier (or a lower tier as well..) this will allow up to X 10-100 better / faster granularity of the block movements. 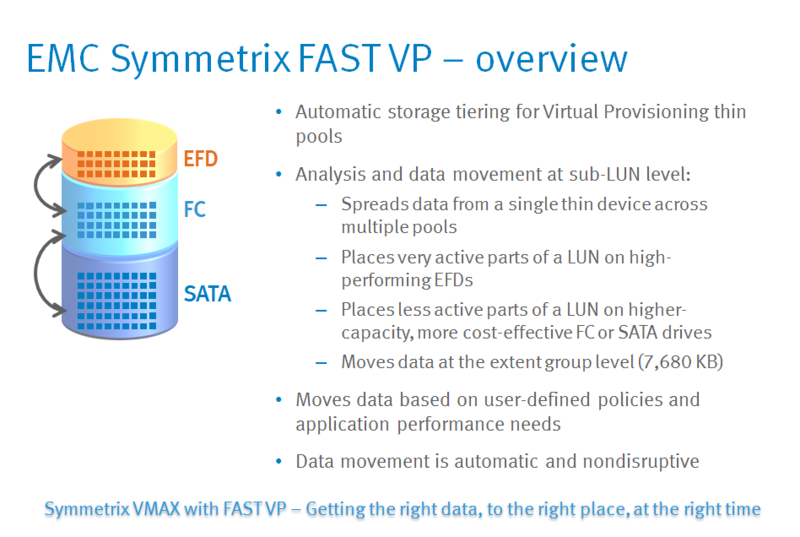 The figure below shows the EMC VMAX FAST VP Overview, however, FAST VP works across ALL of the EMC Arrays! how do you configure SDRS and FAST VP to work in conjunction? 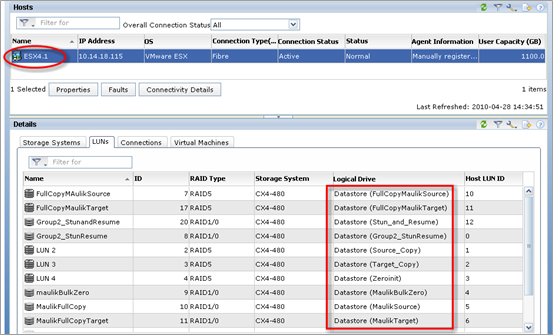 easy, on the VMware side you configure SDRS to work for the initial placement and to generate you Automatic recommendations to the VM moves and on the EMC side, you basically create a FAST VP enabled pool that automatically moves the blocks at the right time to the right Tier!. To summarize, VMware VAAI v2, VASA combined with the EMC winning technologies such as FAST VP & FAST CACHE combined with the unique VM aware storage we offer across the VNXe/ VNX/ VVMAX will provide both the storage administrator and the virtualization administrator the common language they have been lacking for quite some time..
That’s it for tonight’s Post, we can now FINALLY be able to talk to the Aliens.. Previous Post Previous post: EMC PowerPath VIEWER, One Console to rule them all..